Apple held their Worldwide Developer Conference (WWDC). 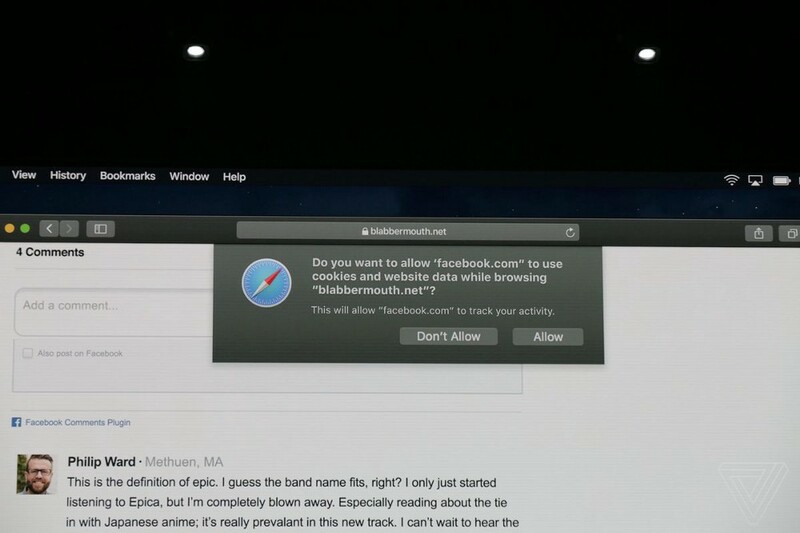 There were some not-so-subtle digs at Facebook and tracking (see this photo). The IPG Media Lab has a great write up on what brand marketers need to know from WWDC across everything from AR, Siri, Memoji (Apple’s take on Bitmoji) to Apple’s stance on ad tracking and life-digital balance. There’s a good behind-the-scenes read on the WSJ about the conflict between WhatsApp founders and Facebook. It seems there was a lot of debate on both sides about advertising on WhatsApp (something WhatsApp isn’t a believer in). Now with the WhatsApp founders out of Facebook, it looks like advertising may now come to the platform. back in March, Facebook executed deals with every major music label. The new product as a result of that deal is a musical.ly type offering that lets you lip sync to music in live broadcasts. Facebook is also testing the ability to include (licensed) music in videos you share on Facebook. Snapchat is rounding out their content partner capability, hiring former Flipboard and Time Inc exec Sarah Gallagher. Getting Publishers enthusiastic about Discover is important to platforms (and advertising) as every other platform also trying to court publishers for original content can attest. If you’re still using Yahoo! Messenger (anyone?) Oath: announced Yahoo! Messenger will be closing down on July 17th (Oath: shutdown AOL Messenger AIM last year). Oddly, Oath: isn’t getting out of the messenger space and recommends users request a beta account for Squirrel, a new Yahoo! group chat messaging product. Google who have been under negative employee pressure for the use of Google AI in military drones aka Project Maven, have now published AI guidelines. #1 is AI must be “socially beneficial”. Google is not the only tech company to publish AI principles, Microsoft has published AI principles as well. Facebook is investing heavily in news content for Facebook Watch funding news content from CNN, ABC, Fox, Univision, and Mic. The new programming commences in the US summer and consists of a mix of daily briefings, deep devices, and breaking news programming. a rumor doing the rounds is that Instagram is about to a launch a Snapchat-like video discover tab (or possibly separate app). Featuring content from creators, it would include scripted shows, music videos and more in vertically oriented, full-screen, high-def 4K resolution. Facebook has launched a gaming site called fb.gg. Potentially a competitor to twitch, it is a hub for live streamed game content. Expect more news on this next week, as the E3 (a huge video game conference), will be held in LA next week. Facebook had (another) scandal, this time a bug that incorrectly ignored a users’ default option and encouraged people to publish posts publicly. 14 million accounts were affected – if you were one, you should now have been notified. The bug was with the audience selector option and Facebook has published a response. A timely reminder that you should always double-check before you post (personally or for clients). Vista Equity Partners has taken a majority stake in 3rd Party Verification company Integral Ad Science (IAS). It was just over a year ago that Oracle acquired MOAT and under a year since Private Equity took a majority stake in DoubleVerify. The changes could see some competition for market share in the verification sector, as Private Equity companies push for a return on their investment. the Washington State Attorney General is suing Facebook and Google for failing to disclose political spending. Specifically, for not properly documenting political spend. Google has now suspended acceptance of political advertising in Washington. This should also serve as a reminder to stay informed of Facebook’s new rules on what classifies as political advertising. As there are various reports of ads being randomly suspended on Facebook for breaching the new rules. Have a good week, be kind to yourself and make sure you check-in that your friends, family, and colleagues are OK.